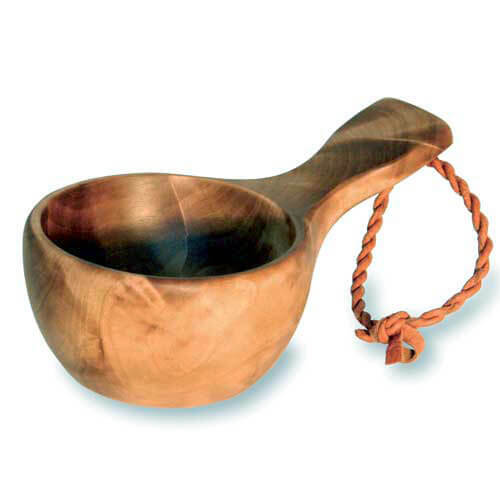 Classical Guksi wooden mountain cup from birch with reindeer insert. Comes with leather string. Holds 1,5 dl. High qulity. This product is treated with boiled instant coffee and after treated with paraffin oil.